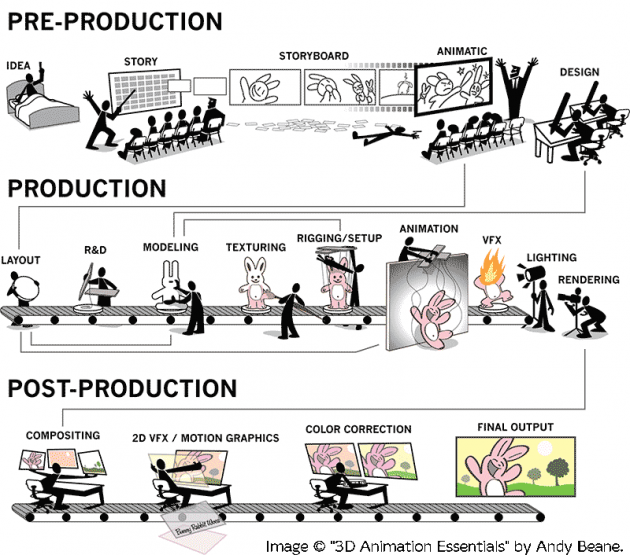 Post–production: Compositing, 2D VFX/Motion Graphics, Colour Correction, Final Output. Fig.1 John Ludwick (2011). 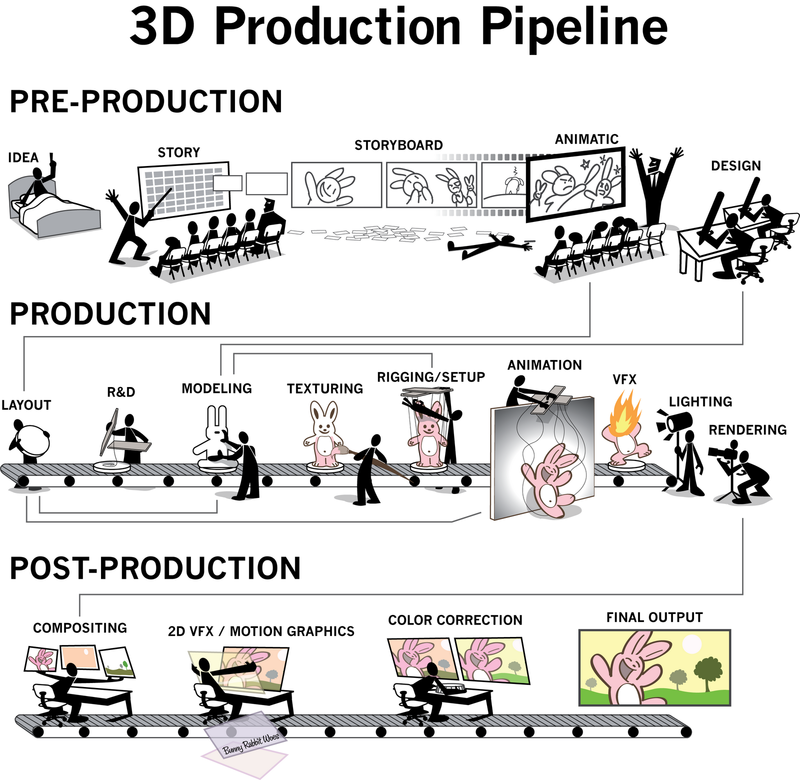 "3D Production Pipeline". 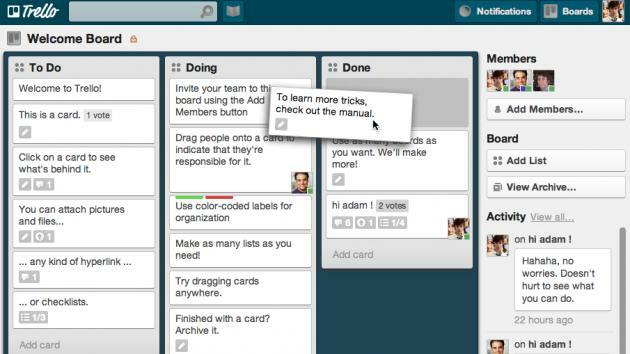 "Trello is a collaboration tool that organizes your projects into boards. In one glance, Trello tells you what's being worked on, who's working on what, and where something is in a process." "Wow, here's something I'd never seen before: Monty Python animator Terry Gilliam discussing his animation techniques on Bob Godfrey's Do–It–Yourself Animation Show in 1974. Godfrey's show, which made animation accessible to the masses by taking the mystery out of the production process, was vastly influential and inspired an entire generation of kids in England, including Nick Park, who created Wallace & Gromit, Jan Pinkava, who directed the Pixar short Geri's Game, and Richard Bazley, an animator on Pocahontas, Hercules, and The Iron Giant. In a day and age when more kids are interested in animating than ever before, it's a shame that TV shows (or Web series) that are fun and informative like this don't exist. The DIY advice that Gilliam gives in this episode is not only brilliant, but still as relevant today as back then: 'The whole point of animation to me is to tell a story, make a joke, express an idea. The technique itself doesn't really matter. Whatever works is the thing to use.'"